AS Monaco’s Radamel Falcao has signed a contract with Chelsea, and will be a confirmed Jose Mourinho player by the time their pre-season preparations get underway in two weeks’ time. The striker’s father and uncle, as reported by The Guardian, have revealed that Falcao has put pen-to-paper on a deal with the Premier League champions, and claim that the 29-year-old will meet with his new team-mates on July 19th or 20th in Montreal, Canada – where the Blues will begin their pre-season preparations. The Guardian further state that – as Manchester United did last season – he has signed a one-year loan spell with Mourinho’s side, and the west London giants will have the option to make the deal permanent at the end of the campaign. The British newspaper claim that his £265,000 per-week wages were an initial stumbling block during the negotiations; however, an agreement has been reached where the Blues will pay £180,000 of his weekly salary, with the loan fee totalling £4 million. Falcao earned a reputation as one of the most formidable forwards in Europe during the first half of his career, with his three-goal demolition of Chelsea in the UEFA Super Cup final in 2012 a particular career highlight. The Colombia international finished the 2012-13 campaign with a stunning tally of 28 goals in 34 appearances; however, since leaving the Estadio Vicente Calderon that summer, he has struggled to rediscover his form. He managed just nine goals in 17 appearances for new club AS Monaco, before suffering a serious knee injury in January 2014 – while ruled him out of the 2014 World Cup in Brazil – and his lack of confidence was plain to see during his 12-month spell with the Red Devils last season. 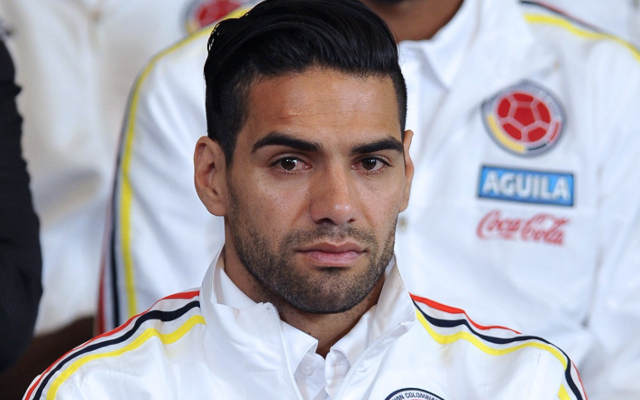 Falcao managed just four goals in 26 Premier League appearances under Louis van Gaal, and similarly, despite being handed the Colombia captaincy for this summer’s Copa America, the former Atletico Madrid star still appears short of self-belief having failed to score in three starts during the competition. Mourinho, therefore, may have taken a gamble in making such a signing, but the Portuguese manager has previously stated his desire to “help Falcao reach his level again,” as quoted by Sky Sports.